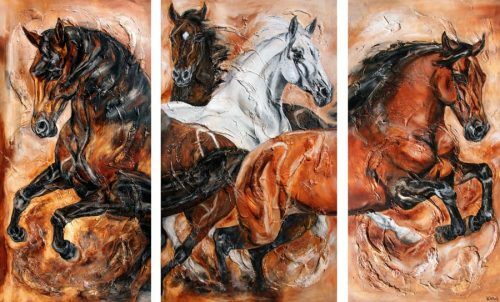 The artist Kerstin Tschech has included this special kind of representation in her repertoire not only because of the greater spatial design possibilities, but also in order to give her horse motifs a particularly lively expression. 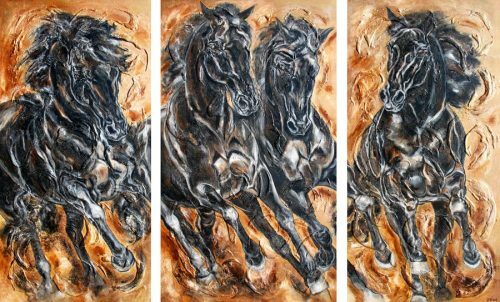 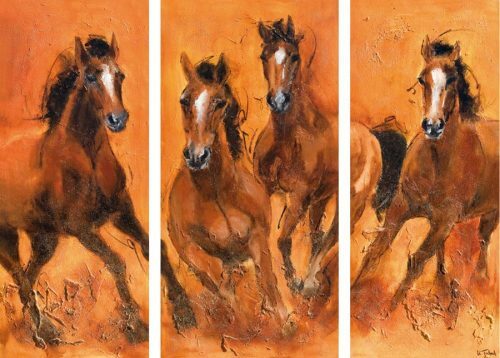 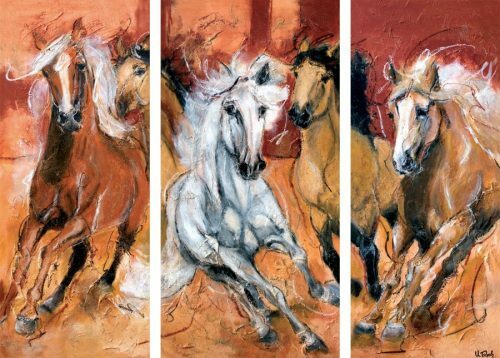 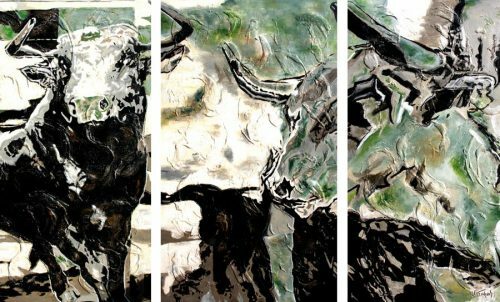 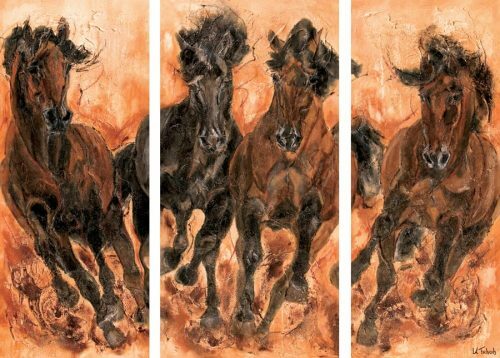 She has already made several life-size triptychs, where you could see the natural surroundings of the horses or find yourself in the middle of a powerful galloping herd of horses. 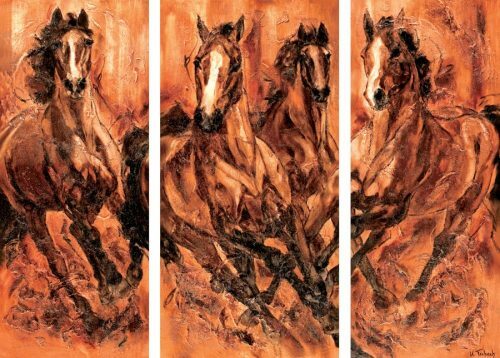 If you want to create a relaxed wall structure with a horse triptych, it is advisable to choose a medium or large printing medium for this special horse art print. 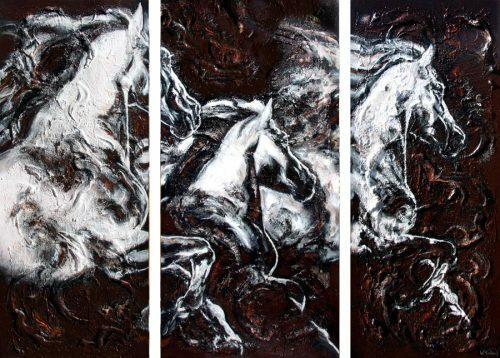 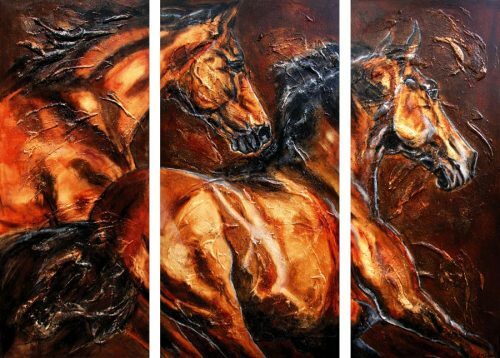 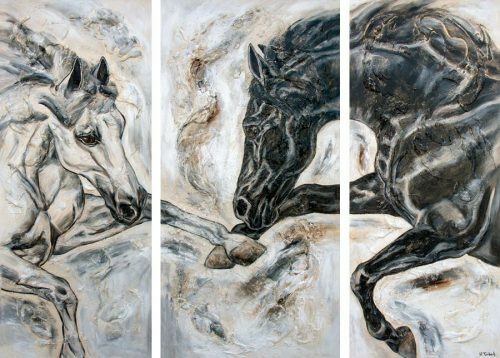 A painted horse triptych by Kerstin Tschech divides the depicted horse motif into three individual fragments, which together make up the whole piece of art. 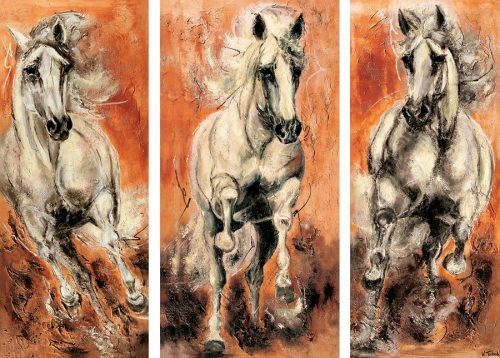 Thus the artist uses a three-part horse painting not only to focus on the respective main scene on the central fragment, but also to shift it to an outerfragment depending on the composition. 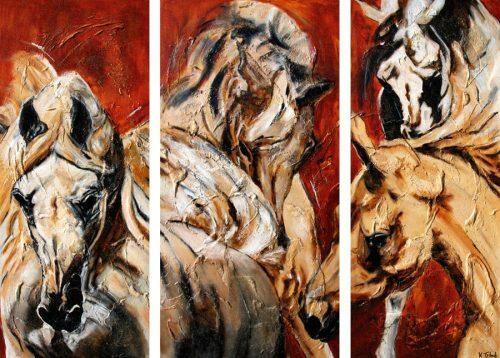 In this way it achieves a greater visual arc of tension within the overall work. 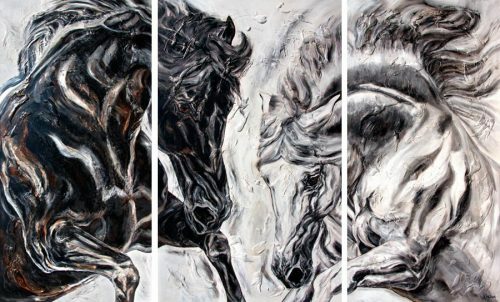 Furthermore, she has more possibilities in the spatial design of the horse painting and can capture much larger scenes in a painterly way than with a single piece. 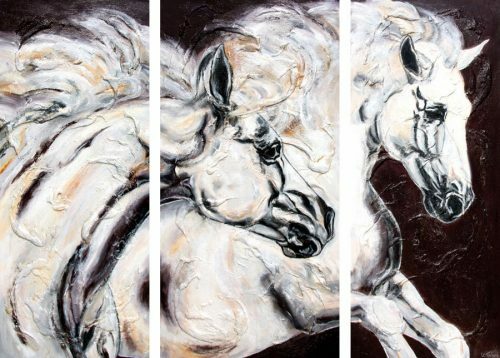 If you would like to have a composition of your own horses designed and painted on a triptych by Kerstin Tschech, you can find more information about a commissioned work at www.kerstin-tschech.com. 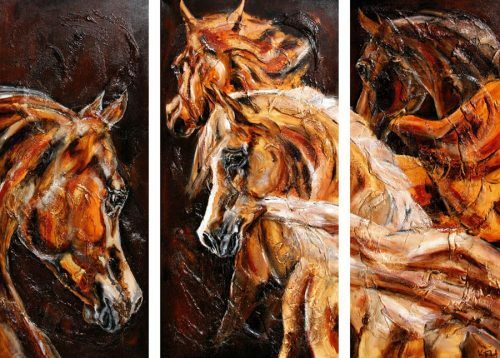 So you can have your horse painted and at the same time you will have an inspiring and modern horse painting on canvas, which will be an eye-catcher in your home due to its three pieces of art. 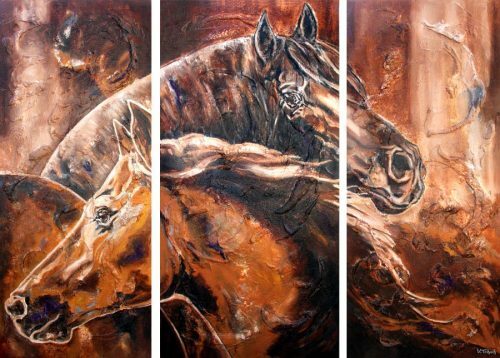 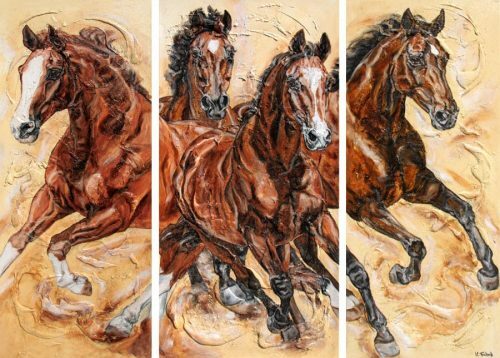 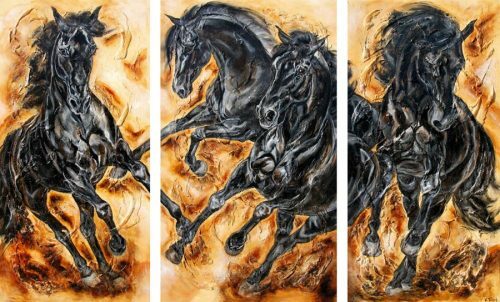 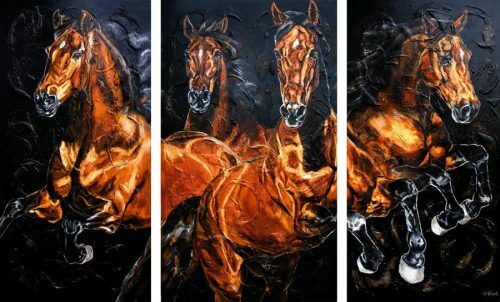 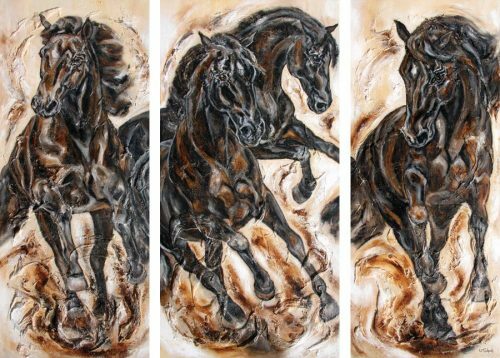 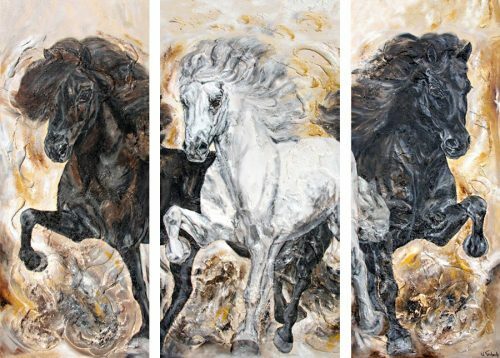 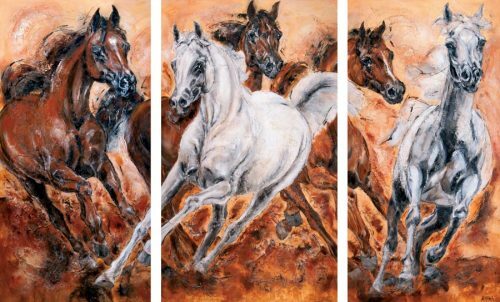 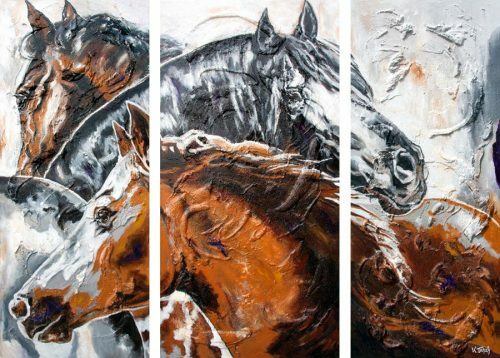 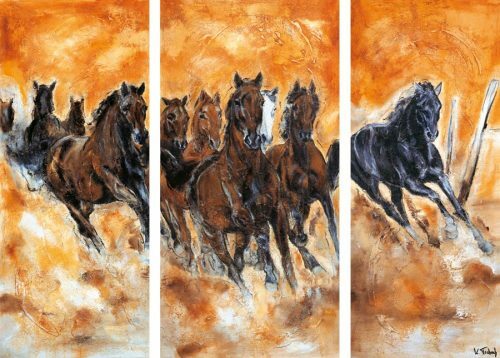 In addition to the world-renowned billionaire Athina Onassis, Kerstin Tschech also designed horse triptychs for Sheikh Hamad Bin Ali Al Thani, the representative of the largest Arab equestrian centre Al Shaqab in Qatar. 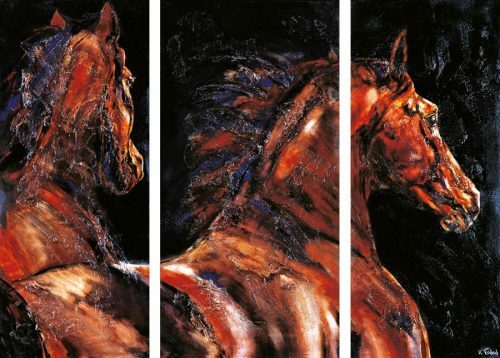 The Royal Riding School in Jerez is also one of the artist’s renowned clients when it comes to three-part paintings.